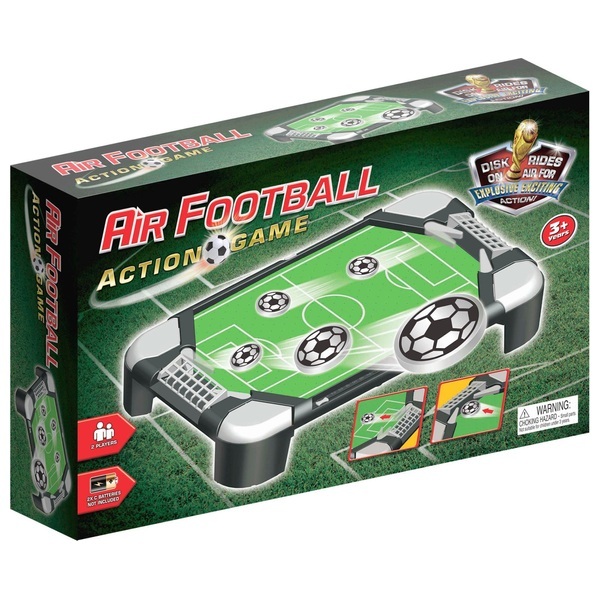 Fast and exciting competition is certain with this air football game. Both players kick the football plate to the opponent's goal by punching the buttons. The first player to reach 9 goals wins!